April 12, 2019 at 6:46 am. Pittsburgh Pirates right-hander Trevor Williams is trying to build off last season, when he posted an impressive 3.11 ERA in 31 starts. His next challenge will come Friday at Washington when he faces the Nationals and left-hander Patrick Corbin (0-0, 3.75 ERA). Williams (1-0, 2.25) will oppose a Nationals lineup that has posted 25 runs in the past two games. Williams is 1-1 with a 3.18 ERA in three career games, including two starts, against Washington. Williams kept throwing after the 2018 season. 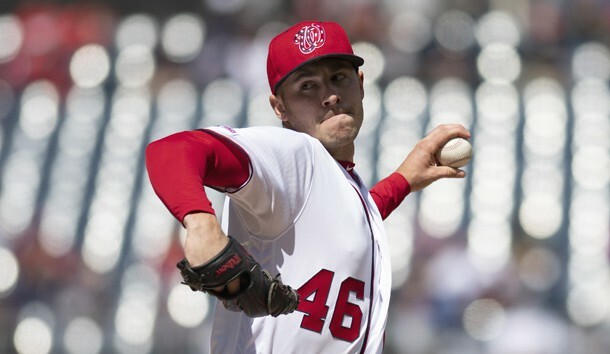 Williams will be on the mound as the Nationals return home from a 4-2 road trip in which they took three-game series from the New York Mets and Philadelphia Phillies. Even with a 7.79 bullpen ERA — the worst in the major leagues — Washington feels good about its start against National League East foes. 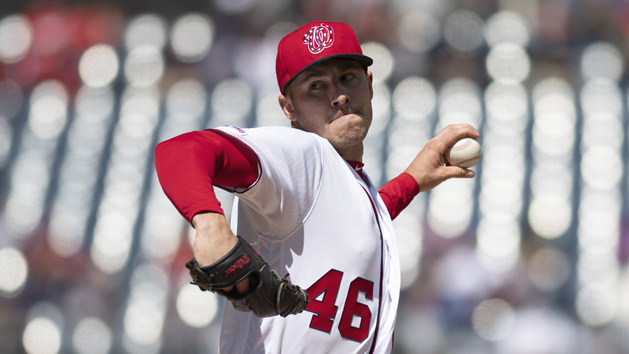 The Nationals’ eighth-inning ERA is 14.73, by far the majors’ highest, but Washington got six shutout innings out of its relievers in a 10-inning, 10-6 win over the Phillies on Tuesday. Juan Soto crushed a three-run homer to break a tie. The Nationals had 17 hits Wednesday in a 15-1 win at Philadelphia, with first baseman Matt Adams driving in four runs in the road trip’s finale. Adam Eaton and Brian Dozier, who had been struggling, each had three hits in the victory. Washington third baseman Anthony Rendon extended his hitting streak to 10 games, and he is batting .429 on the year. The Nationals took a bus back to the nation’s capital, and Washington was off Thursday. Eaton led the cheers at the Capitals’ 4-2 home playoff win over the Carolina Hurricanes on Thursday night. It will be a quick turnaround for the Pirates, who lost 2-0 to the Cubs on Thursday night in Chicago. The game was delayed by rain more than an hour after the seventh inning. Pittsburgh managed only five hits and a walk while striking out 14 times against three Cubs pitchers. The Pirates will look to get the better of Corbin, who is 1-2 with a 4.75 ERA in six career starts against Pittsburgh. His first two starts this year were against the New York Mets, and he lasted six innings each time in a pair of no-decisions on March 31 and last Saturday. Williams also has gone exactly six innings in each of his first two starts this year. He did not allow a run in his first outing at Cincinnati, then gave up four runs (three earned) last Saturday vs. the Reds.